Exercise is essential; it helps reduce body fat, aiding you in maintaining a healthy weight. It lowers the risk of Type 2 Diabetes, improves mood and lowers anxiety. This is the short list, there are several others, but for this post, I want to zero in on the benefits that may be most helpful during this season of plenty.Reduces body fatAccording to the National Institutes of Health 68% of Americans are considered overweight or obese. Realizing everyone does not fall into this range, exercising regularly can help you opt out of this expanding group. It is recommended that you exercise five days a week for at least 30 minutes. I can hear the “but I don’t have time,” feedback! Commit to two to three days of exercise and gradually increase. Make sure you include stretching in your exercise routine-it warms up your muscles and can increase your flexibility. The energy you use exercising will burn calories and reduce fat which helps you maintain or achieve a healthy weight. 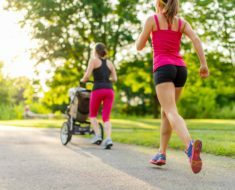 The more you exercise, the easier it is for your body to burn off those calories.Lowers Risk of Type 2 DiabetesYou can lower your risk of developing Type 2 Diabetes with a regular exercise plan. Research indicates regular exercise plus a healthy diet of low-fat, high-fiber whole grain foods can aid in lowering the risk of diabetes. Eating wisely is especially important during holidays. Be strategic in navigating the buffet table, choose small plates, vegetables as dippers, limit bread, and go for two-bite desserts. Limit alcoholic beverages and drink more water.Improves moodThe holiday season can be difficult for a lot of people for numerous reasons, which may result in depressed moods and outlook. Exercise can be an ally in moving the mind to a better, more positive place. When you exercise, chemicals including endorphins are naturally released by your body. The endorphins interact with the receptors in your brain that reduce your perception of pain. They also create a positive euphoric or happy feeling. 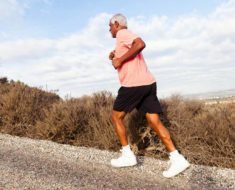 As regular exercise becomes routine, your brain will associate the positive happy feeling with exercise, reinforcing the importance of exercise in feeling positive and good.Lowers anxietyAnxiety, like mood improvement is connected to the increased level of endorphins, stimulated by exercise. During your workout or swim, you are stepping away from the daily grind or problems that you may feel are overwhelming. 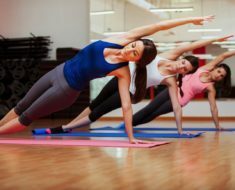 Your focus is on the workout-once you’ve finished working out you have a fresh outlook, are less anxious, and have renewed energy to tackle the issues that weighed you down.This is a short list of exercise benefits. As your coach in achieving the well-being lifestyle, I hope that you’ll embrace exercise as the remedy you need to manage tasks and enjoy the holiday season.Take Away: Add regular exercise to your routine to ensure a healthy happy outlook every day of the year. 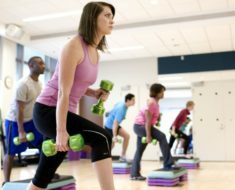 Why Is a Exercise Routine Vital?